Small handbag made from a combination of brown leather and denim. 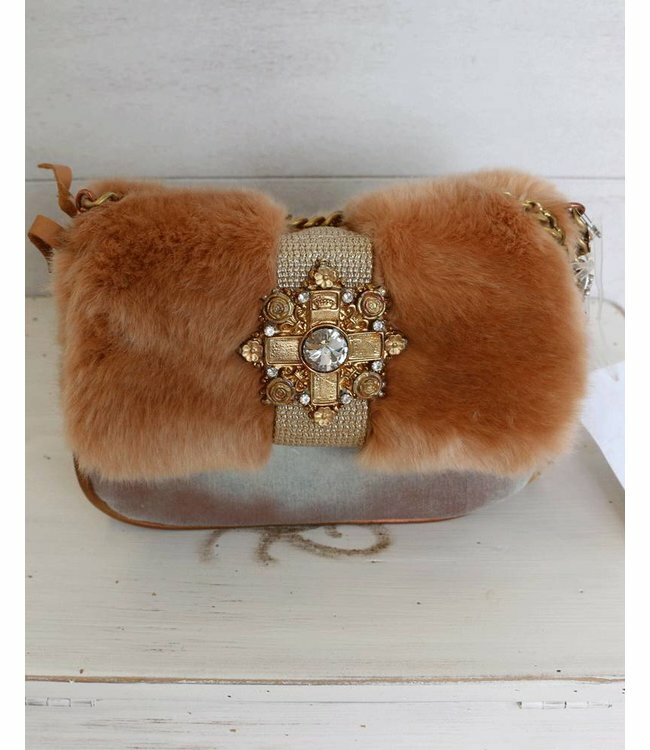 The front features bronze-coloured faux fur. I’m fortunate to own this same bag. I live in Melbourne Australia. Everywhere I take this bag she has overwhelming adoration.